The assured modulated power of the BR-5800 Caliper is one of the reasons why Shimano 105 is the world's most popular road bike groupset. 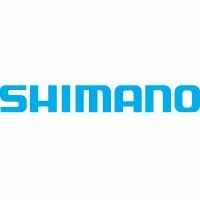 Shimano 105 road bike brakes are renowned for their reliable power matched with their smooth light lever action. Sold as individual front or rear brake callipers. The Dual Pivot caliper brake equalises contact of both brake pads on the wheel rims when you pull the lever and helps guarantee assured, controlled braking. SLR stands for Shimano Linear Response. The Super SLR design employs a friction-reducing mechanism in the caliper, lever and cable for improved response and modulation. Must be used in conjunction with Shimano 105 ST-5800, Ultegra ST-6800 or Dura-Ace ST-9000 STI levers for correct leverage ratio. Low profile outer cable stop position improves cable routing for reduced friction. Lightweight aluminium construction with anodised finish to preserve the good looks. Compatible with tyres up to 28c. Manufacturer's Published Weight: 378g per pair.